A beautiful sample handmade by craftsmen of Ryazan, a povoynik of a rich countrywoman is decorated with almost a hundred sequins around the headband. Moreover, we can note that the sequins sewn over tapes of gold and silver lace from brocade thread. 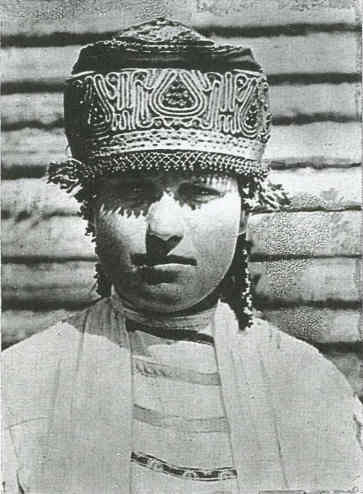 A scarf was put on top of the Povoinik, to completely cover the back of the headdress but the occipital area is also embroidered with festive decorations. 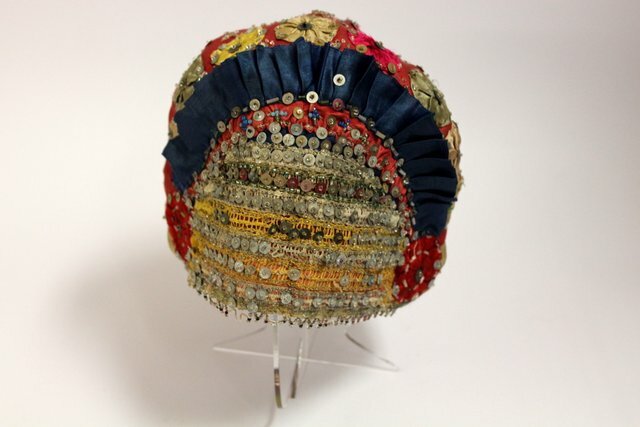 Unfortunately, the technique of making such headware today is completely lost.